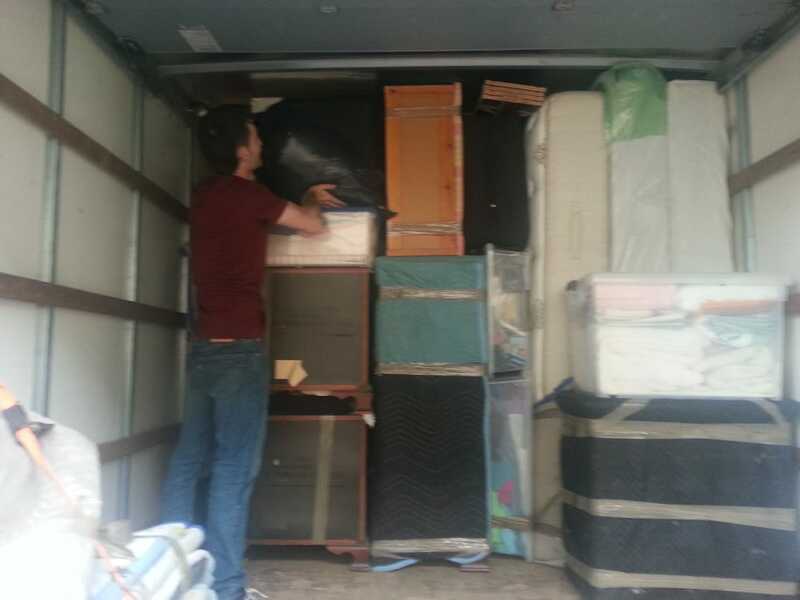 We offer affordable and professional stress-free moving and packing services. We will handle your belongings with utmost care making your relocation go as smooth as possible. 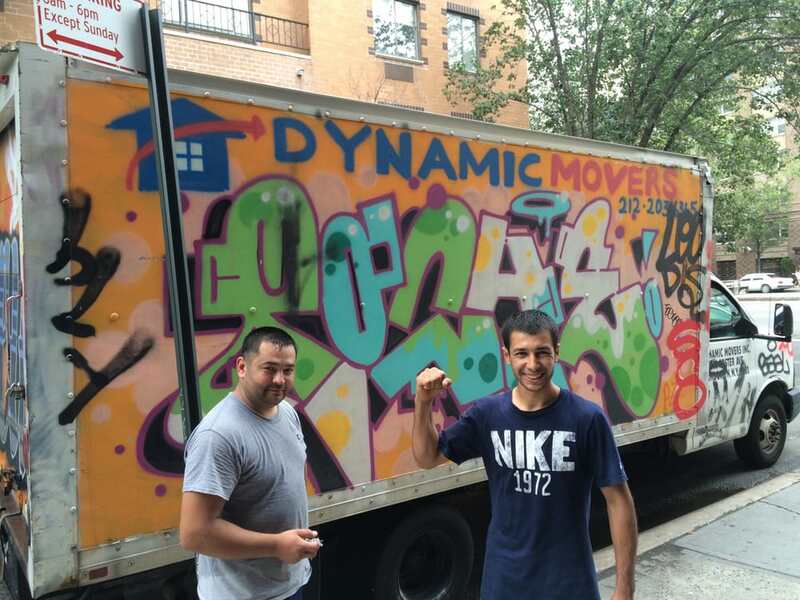 Our NYC movers are trained and uniformed. We hire only skilled movers with prior moving experience. Local Movers | Long Distance Movers | Commercial Movers | NYC Movers | Brooklyn Movers | Moving CompanyDynamic Movers enjoys an excellent reputation for honesty, integrity and quality. Whether you're moving across the street, across town or across the country, Dynamic Movers will be there from start to finish. Established in 2009. 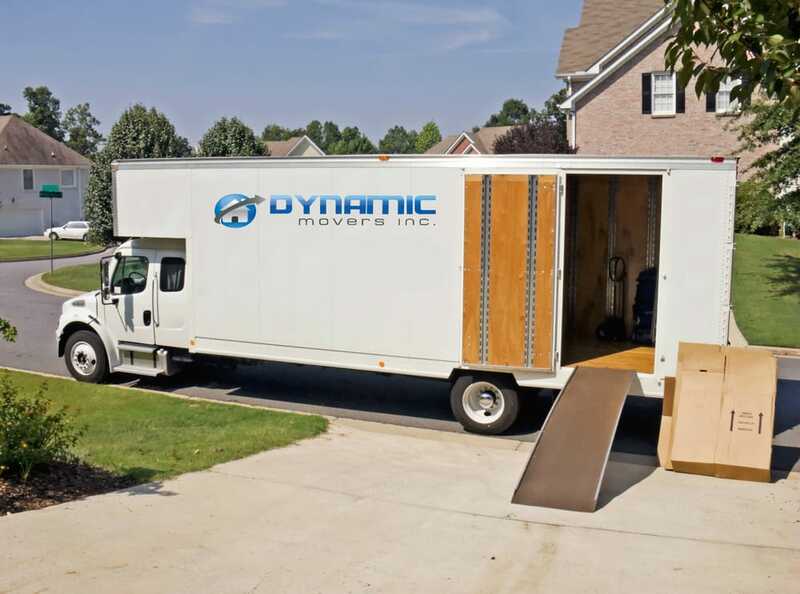 At Dynamic Movers Inc., our experienced and friendly relocation specialists work with you, your family or business to ensure every detail is covered. It's the attention to detail that has made your friends and family recommend Dynamic Movers Inc. for over 4 years. We have seen it all and we have done it all. From a simple local move to a complex long distance — cross country move, our team of professional staff will prepare a moving plan that will make your moving process a breeze. 5 Stars! They called me 30 mins before arriving. Once they arrived, they immediately got to work and didn't waste anytime. They were very fast and delicate. To un-assemble my bed, pack up a 1 bedroom apartment into the truck, drive to my new place, unpack the truck, and re-assemble my bed, everything took 5 hours total. I am very happy with them and will recommend them to anyone that is moving. Sam was incredible - he was extremely responsive to every issue and question I had and beyond professional. Movers were quiet and polite and got the job done. Would definitely use them again. I don't quite know how to put into words how much I hate packing and moving. It's my personal hell-scape. In college, it usually consisted of me throwing everything into boxes and bags the night before ("I'll organize when I get to my new place! "), having mini panic attacks, and hoping for the best--recruiting friends or willing souls or family members to assist in my transition. I swear to you, my belongings and random items of sentimental value have followed me in boxes like trolls for years. This year, I knew my usual, last-minute soul-sucking technique would not work as my fiance and I were planning to transition to our first real "marriage" place together. I sent out dozens of quote requests and put in calls to various movers. Some were flat, some were hourly. Some re-directed to their websites to fill out long forms and describe every piece of furniture and box I owned. As most of you can imagine, the price range was insane. I feel beyond blessed that I found Dynamic Movers.Andrew was professional, patient, and personable throughout the entire process via phone, email, and/or Yelp message. The response time was always quick with no questions left unanswered. I needed to complete my move within a certain time period / date range and his team accommodated my schedule during a peak time (end of month/first of month). The arrival window was 4-7 and they arrived right at 5:30--calling to let me know when they were finishing up at the previous place and when they were en route. His hard-working, friendly, and efficient crew completed my move in under three hours--loading up the truck, disassembling furniture, wrapping up fragile items + unloading everything in the appropriate rooms of the new place and reassembling the pieces that needed to be put back. I was amazed at how quickly everything was done. The quote was exactly as I expected and they wasted no time. Nothing was damaged either. They did such a good job, I couldn't help but...help! Shifting boxes to the door, maneuvering things out of their path, etc. They even had courtesy wardrobe boxes for your clothes if you needed them. At the end, they ask you to sweep the truck to make sure all belongings are with you. I know I'm gushing, but after years and years of poor moving experiences, I literally had the least painful move of my life. 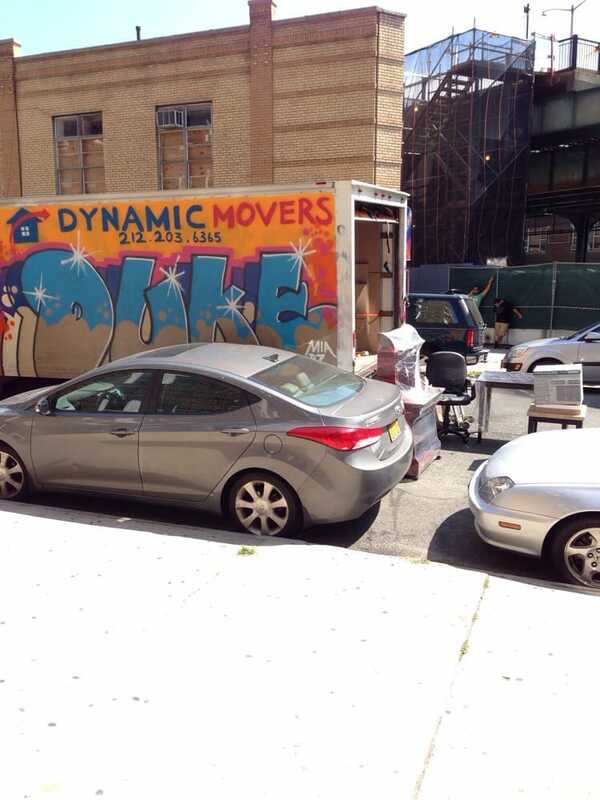 If I'm ever ready to do it again, Dynamic Movers will be my first call. Time slots moved incredibly fast and I fully understand why. Book in advance and tip them well. These guys seriously earned it. They accept credit card with a small fee (3%) or cash--their price was not only unbeatable but truly honest. Beware: I looked into Great Movers, who will charge you full NYS sales tax, and apparently quote men vs. women different prices for the same exact move (...but that's a whole other story...).Andrew & Team: thank you for taking one of my least favorite life experiences and making it beyond bearable. I quite literally could not have done it without you. Seriously. 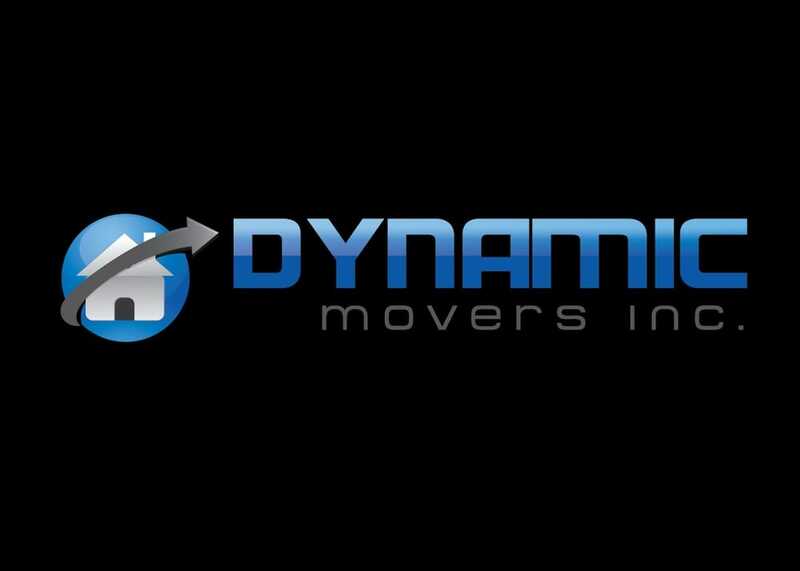 Dynamic Movers did an absolutely awesome job with my move! They were on-time, super efficient, careful, and had the best rates out of the 15+ movers I requested quotes from. I had a somewhat complicated/annoying move and Andrew helped coordinate everything so that it all went smoothly. Even in the 90 degree heat, lugging bulky furniture and dozens of boxes up and down three separate walk-ups, Dynamic Movers got the job done quick and with a great attitude. Would definitely recommend! It was amazing to work with Dynamic Movers. Romeo and his team were amazing- moved everything quickly and efficiently with a smile on their face (even despite the thunderstorms). We had about 2x more boxes than expected and they accommodated us. They even went over our allotted time, and wrapped additional furniture at no extra charge. Andrew helped from the office side of things and called me throughout the move to ask how things were going, which we really appreciated. I would definitely recommend this company to friends and family. Thank you again!